Many people swear by the Exynos versions of Samsung's Galaxy flagships, as performance is often better and there's more development. Others require a phone with the ability to use two SIM cards at once. 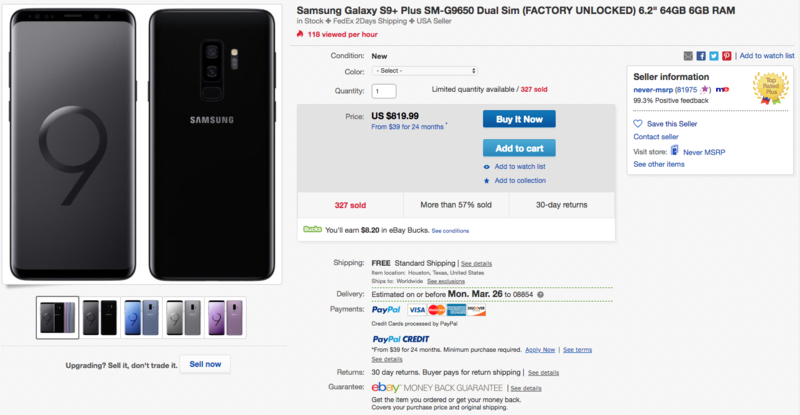 If you belong to either (or both) of those parties, you may want to have a look at these deals for the dual-SIM Galaxy S9 and Galaxy S9+ on eBay. Unlike American models of the Galaxy S9, international versions use the Exynos 9810. Otherwise, though, the specs are all the same; a 5.8" 1440p AMOLED display, 4GB of RAM, 64GB of storage with microSD expansion (note that only one SIM can be used with a microSD), a 12MP main camera, an 8MP front-facing camera, and a 3,000mAh battery. The S9+ gets a 6.2" panel, 6GB of RAM, an extra 12MP telephoto lens, and a 3,500mAh power pack. Both phones have IP68 water resistance, dual speakers, and fast wireless charging. We don't have much reference to regular pricing since these aren't US models, but the S9 and S9+ here are $10 and $20 cheaper than their US unlocked counterparts, respectively. Of course, you can't take advantage of Samsung's latest promotions, but you get an arguably superior chipset and dual-SIM capabilities. 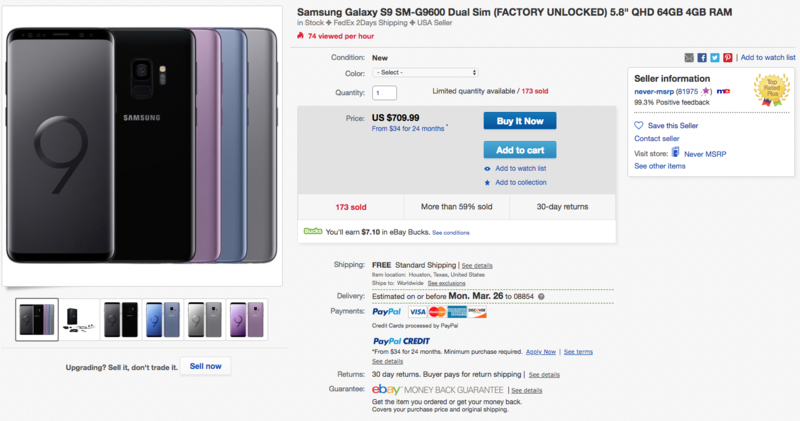 Black and purple are still available for the S9, but only black can be had on the S9+. Hit the source links below to grab one. The seller has dropped the prices of both the Galaxy S9 and S9+ by $35. The S9 is now $674.99, and the S9+ is $784.99. Be aware that these don't come with warranties, that they won't work on CDMA carriers like Sprint and Verizon, and that band support may be limited for GSM carriers.